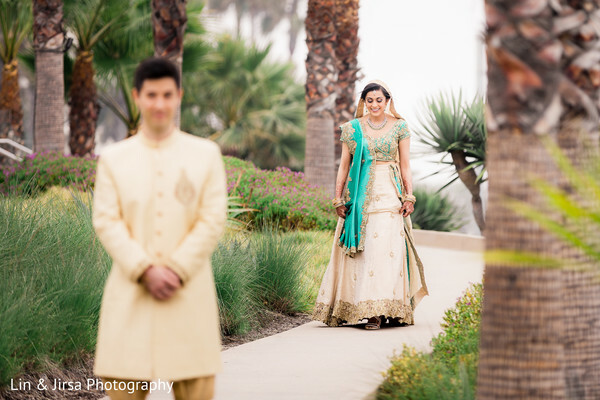 Today, I share a tri-fold fusion Indian wedding that had to be spread out over three different posts featuring the photography work of Lin & Jirsa Photography in our very own sunny California. 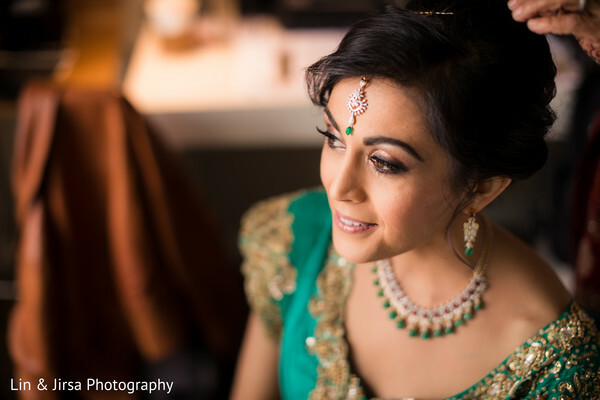 This wedding was planned with gracefulness and glamour in mind by Neha Shah and Amanda Mendez of Blue Lotus Insights. 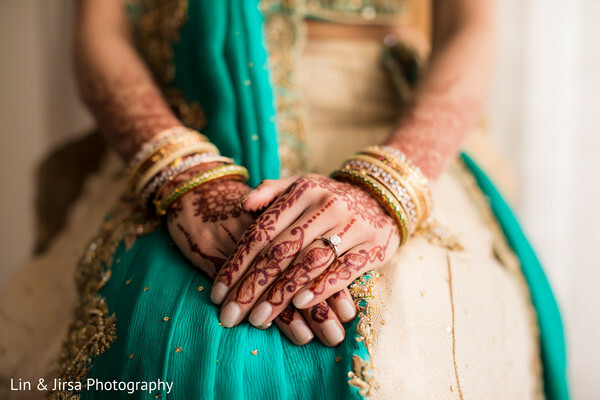 The best aspect of featuring Indian weddings from all around the world are the behind the scenes shots. 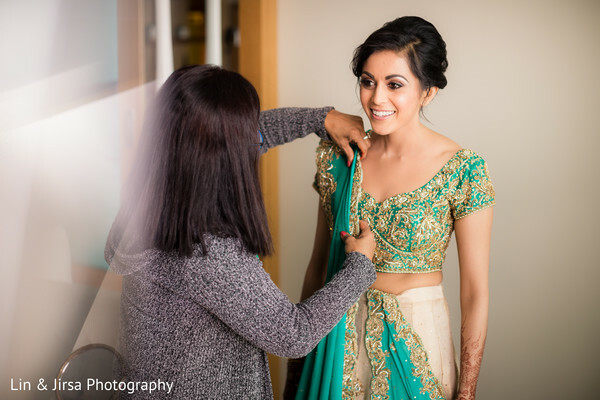 Seeing the bride getting styled up is one of my favorites, because, I am never disappointed with the outcome! 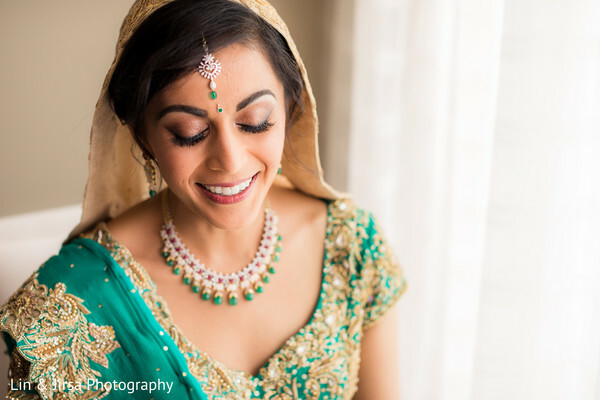 I love to hear how Indian brides pick that coveted trousseau, too. And, as they say, mother knows best! 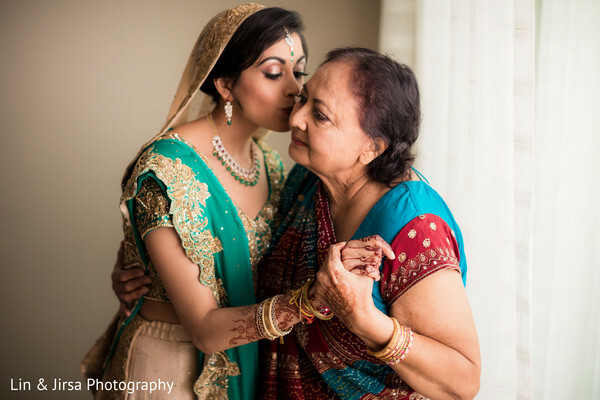 Shruti's mom knew the way to her girl’s heart in a stunning, soft green wedding lengha. 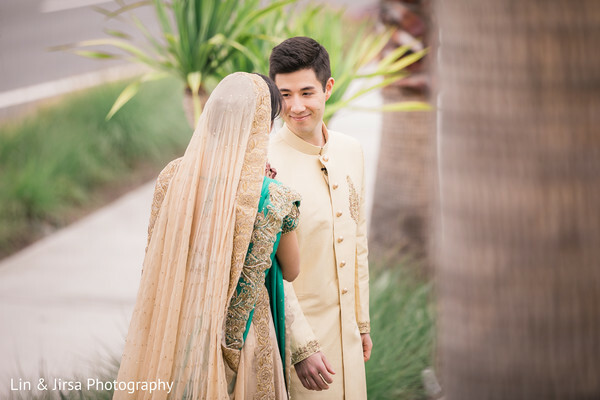 Hair was styled high to ensure that the offsetting dupatta was securely fastened in place. 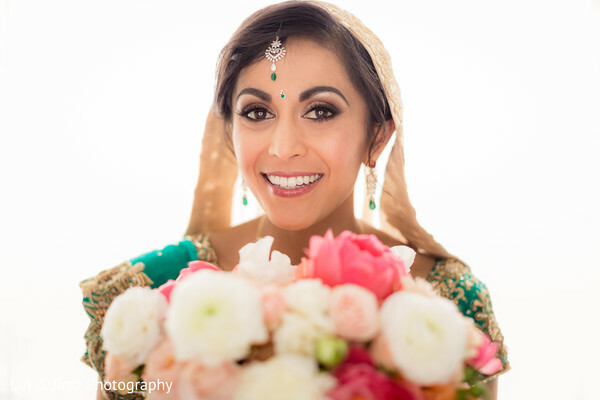 The bride posed for various shots with her photographer before she made her big reveal, each one just as charming as the next! Don’t miss a single bhangra beat as Enchanted Carriages, Ronobir Lahiri Music, and 3D Sounds flood our screens with entertainment bliss at the Pasea Hotel & and Spa. 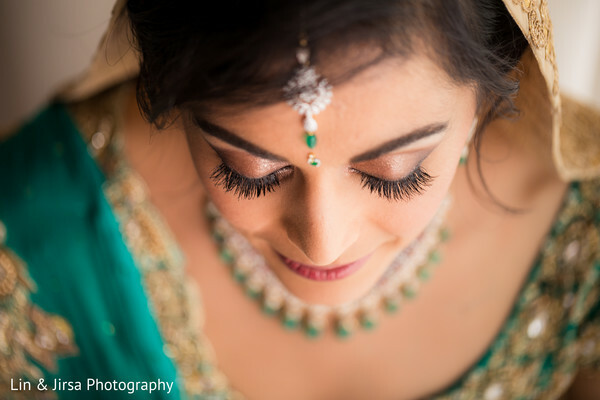 For a sneak peek of things to come, I have arranged all the photos in this very Instagram worthy gallery! 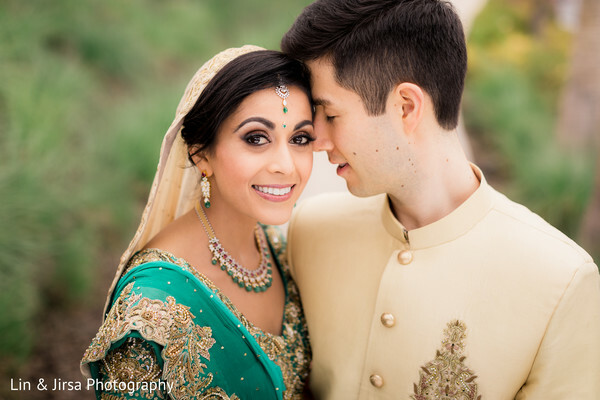 I will be right back with details from the wedding!